Home Dossier Science This Is What Happens To Your Poop When You Defecate In A Plane's Lavatory. 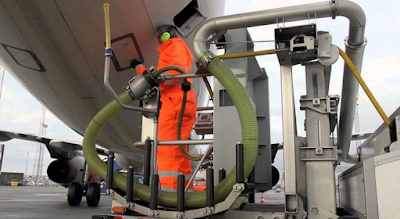 This Is What Happens To Your Poop When You Defecate In A Plane's Lavatory. If you've flown before, I can bet my right balls that you've at one time thought of where your poop finally ends up when you flush it. Or perhaps, how the toilet on a modern aircraft work? 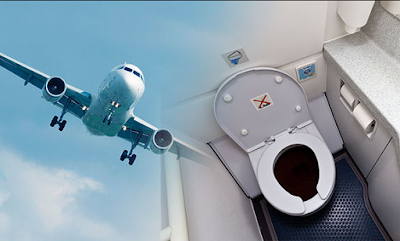 Aircraft lavatories have come a long way since the early days of commercial air travel. Early flyers used slop buckets, and WWII pilots tossed piss-filled bottles out of unpressurized windows. Train lavatories still adopts this method of poop landing directly on the ground when you flush, but we sure are not here[on this post] to talk about trains - so back to our planes. Airplane toilet has a machine that goes to waste management system and here we will be explained how it goes. Airplane belly is just one of several tanks found inside the plane. 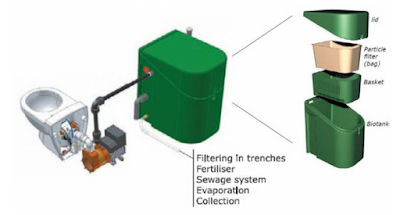 These tanks get filled with waste, through the use of suction. Pressing the flush button in the airplane's toilet is the first step of the process. Pressing that button opens a valve on the bottom of the bowl, which in turn exposes the contents of the bowl to a pneumatic vacuum. 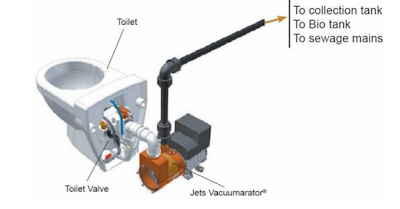 There are two types of tanks in the plane - suction and holding tanks.The suction tank is the tank that the waste first lands the toilet is flushed. This tank can't hold a lot of waste. When the suction tank filled, the holding tank then takes up from where it stopped, thus the name. For every land the an airplane makes, there is always a crew with a lavatory service truck that hooks up with the tank and empties its content into the truck. What happens to the excess waste that is poured into the truck? Unfortunately, that answer is a mystery.